Childersburg, AL - WWII Vet. Isaiah McMillian was born on July 4, 1922 to the parentage of the late Eddie Swain and Mittie McMillian. WWII Vet. 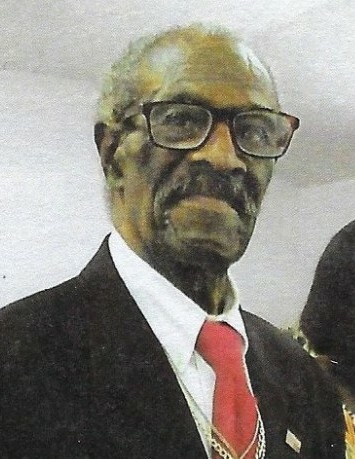 McMillian was a dedicated member of Enon Missionary Baptist Church, Childersburg, AL. Where he was honored to be the oldest deacon at the church. He was the former caretaker of Lilly Rhoden | Enon Church Cemetery. He was a former member of Childersburg NAACP. In April 2, 1941, Veteran McMillian join the United States Army where he served in the World War II and Philippine. He was honorable discharged from his duties on August 24, 1945. On June 2, 2018, Veteran McMillian departed this walk of life, at his residence, Childersburg, AL. He was preceded in death by his parents, wife, Margaret McMillian, one son, Rev. Calvin McMillian. He leaves to cherish his loving memories, eleven children, Evelyn McMillian, Margaret E. McMillian, Izella (Carl) Wilson, Freida (Paul) Garrett, Wanda (Alonza) Wilson, Stella Dates, Co-Pastor Gary (Bishop Diane) McMillian, Isaiah (Cindy) McMillian, Jr., Larry McMillian, Thomas (Akima) McMillian, LJ (Lynn) McMillian; sixty grandchildren, daughter in law, Sylvia McMillian; special friend, Laura Datcher; God son, Raymond Cribbs; host of great grandchildren, and other relatives and friends.